The first issue to clarify with the collectors heirs is whether theyre dealing with an accumulation or a collection. The daughter of a recently deceased client is on the phone. She’s been getting her father’s estate organized but isn’t sure what to do with his coin collection. She has no idea about the coins’ value, whom she can trust for a fair valuation or how to sell the coins. Can you help her? It’s a plausible scenario. In 2007 the U.S. Mint estimated that 140 million Americans collected coins in some capacity. The attraction doesn’t seem to have faded in the intervening years: visit the U.S. Mint’s site and you’ll see that the Mint constantly rolls out new collectible coins. Advising clients on selling coins that they didn’t collect personally poses several challenges. 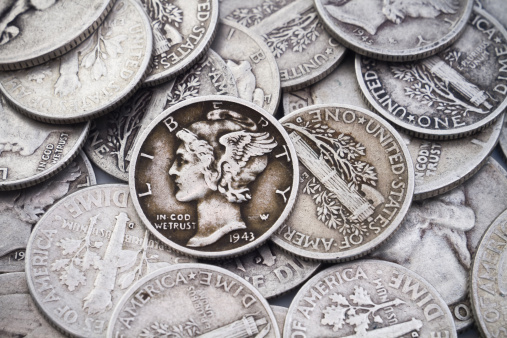 Coins that appear to be identical to the casual observer — silver dollars issued in the same year, for example — aren’t fungible. An expert inspection of the coins can reveal differences in rarity and grade-quality that affect price significantly. There are resources for pricing coins, but a non-collector isn’t likely to know about them. Another potential problem is the disparity of knowledge between buyer and seller and the resulting conflict of interest. Coin dealers and traders profit from the buy-sell spread. Uninformed sellers who rely on prospective buyers for objective price evaluations risk receiving less than fair value for their coins. The first issue to clarify with the collector’s heirs is whether they’re dealing with an accumulation or a collection. It’s an important distinction for several reasons. It’s unusual to find valuable coins in an accumulation because accumulators keep coins that interest them, but those coins often lack numismatic value. These coins are often stored casually — the classic change jar comes to mind — and consequently get scratched. Collectors follow a grading scale and a good condition rating for a circulated coin is the lowest grade many collectors will consider. Low-quality coins may still have value but it will be for their metal content, not their collectible potential. Recognizing the accumulation versus collection distinction will influence the optimal way to sell the coins, Daniher says. In contrast, true collectors know what they have and its market value. Their collections often focus on a theme and that focus generates accretive value to the coins. Collectors usually keep records on their trades and often have relationships with reputable dealers and other collectors. They frequently provide guidance for their heirs and suggest how to sell the coins if the family doesn’t want to keep them. Depending on the coins’ value, the heirs can choose from several selling methods. Robert DeHollander, CFP, with DeHollander & Janse Financial Group in Greenville, S.C. is a coin collector who has encountered numerous inherited collections. In cases where he’s working with a client and the collection isn’t very large, he will prepare a basic inventory and valuation of the coins. The research tools he uses are publicly available. As DeHollander notes, a coin’s grade is critical to determining its value. Grades follow the Sheldon numerical scale and depend on whether a coin was circulated or is still in mint condition. Circulated grades range from Poor (a numerical grade of 1) through Very Good (VG-8, VG-10) up to Almost Uncirculated (AU-50, 53, 55, and 58). Mint state grades go from MS-60 through MS-70. If the client suspects that an inherited coin is valuable, it’s worthwhile to get it graded. The collection’s value will influence the choice of a sales method. For collections worth less than $20,000, which DeHollander says is typical for the inherited collections he sees, he recommends visiting dealers and getting three valuations to determine if those offers are fair. Selling the coins online through sites like eBay is another option. It will take more time to sell the collection that way, DeHollander says, but it can pay off. Citing the $20,000 collection example, he says the seller might realize $18,000 to $19,000 by selling online. That raises the question of whether the additional sales proceeds are worth the added time and effort to the seller. Daniher suggests that advisors get to know one or two local coin dealers so they can assist clients in these cases. Ask coin collectors among your clients for referrals to local dealers they trust and then meet with the dealer. Avoid the “We Buy Gold and Silver for Cash” shops that are popping up as the metals’ prices increase, he cautions. While those may work for selling items like jewelry, they’re not the right choice for selling coins.